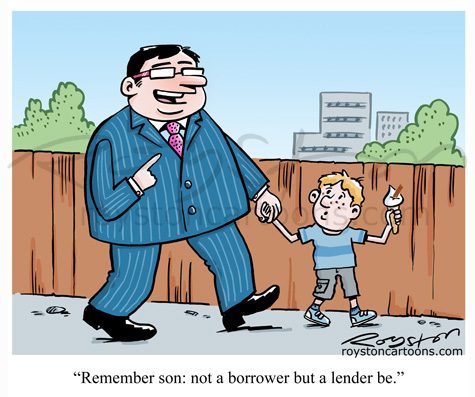 This cartoon is about Kippers – that's Kids In Parents' Pockets, Eroding Retirement Savings. No, really. It was a new one on me, too. 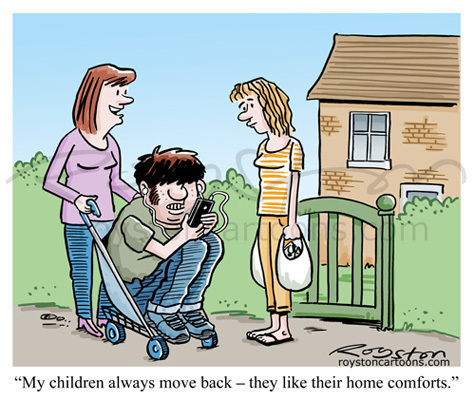 These cartoons were drawn for the Money pages of Reader's Digest and can be seen in the June issue.